With space at home a premium these days, more and more people are expanding their living areas outwards to create much needed freedom to entertain and relax. This trend for outdoor living has led to a growing market for ground terraces and patios with variations in design and materials from traditional pavers and slabs, to natural stone and porcelain tiles. 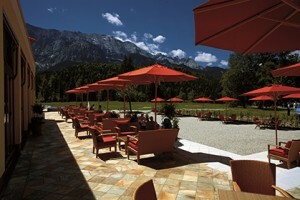 To cater for this growth, BAL has launched an exclusive new range of external tiling systems, using proven technology from its sister company Gutjahr, which protects outdoor coverings against the unpredictable British weather and diverse extremities such as rain, frost and heat. Gutjahr System Technology from BAL offers landscape designers and contractors innovative drainage, ventilating and uncoupling solutions for all types of patios and ground terraces, as well as balconies and roof terraces. This means for the first time architects, designers and contractors are provided with a true ‘one-stop-shop’ for terrace and patio systems for tiles, pavers and slabs. Gutjahr are the inventors of the passive capillary surface drainage system. Complete with edge profiles, drain grates and guttering, the patented systems are simple to install and provides rapid, immediate and high volume drainage of water. The system is so effective it has even become standard in Germany since 2002, being incorporated into the ZDB leaflets (generally acknowledged rules of technology) for external floor coverings of the German Construction Industry Association (ZDB). BAL is introducing a number of Gutjahr products to its portfolio including waterproofing, drainage matting, mortar, drain grates, edging profiles and guttering, which combined with its full range of tiles adhesives, grouts and sealants, makes BAL the ONLY full system provider in the UK. Among the systems on offer from BAL include Thin Drainage Assembly for direct point adhesion for break-proof coverings, Standard Drainage Screed Assembly for the solid bed fixing of ceramic, porcelain and natural stone and concrete paving, and a Thin, Lighter Weight Drainage Screed with an epoxy drainage screed for a strong but comparatively lightweight build-up compared to conventional systems. 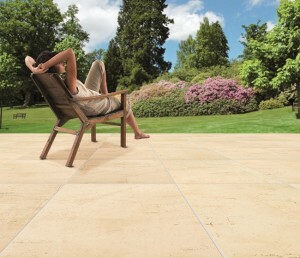 The minimum tile thickness for this assembly is 20mm porcelain, 30mm natural stone & pavers. 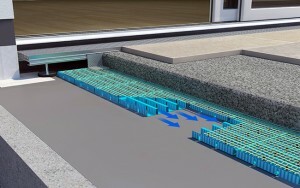 With the Thin Drainage Assembly, break proof coverings are fixed at points to the AquaDrain® T+ surface drainage mat. Seepage water is then rapidly shed through the drainage channels in the AquaDrain® T+. 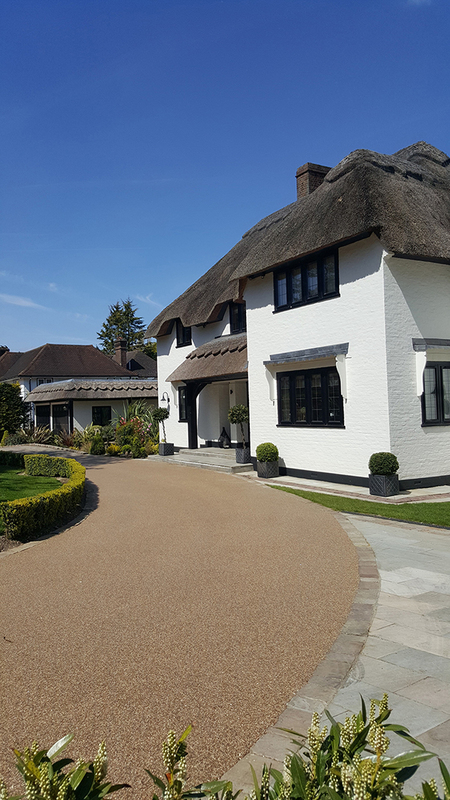 Using self-supporting tiles this system provides the same benefits as screed based drainage systems but is significantly lighter than conventional assemblies, and a complete build-up above the waterproofing can be achieved from only 29 mm. Both the Standard Drainage and Thin, Lighter Weight assemblies include the AquaDrain® EK passive capillary drainage mat which has a unique mesh, raising the complete surface and offering a high drainage volume. 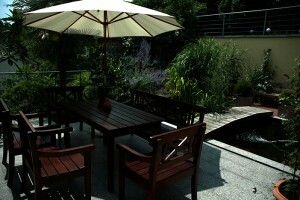 As such the entire system provides a rapid and immediate drainage solution. Minimum tile thickness for both these assemblies is 10mm porcelain, 20mm natural stone or pavers. The Gutjahr system also includes a range of drainage grates and gullies, trims and profiles which are available in a number of interchangeable sizes and designs for varying assembly heights or individual project requirements. In BAL you can call on a company in its fifth decade of specification support that understands the challenges and pressures faced by designers, architects, specifiers and contractors when designing and building tiling installations whether on large commercial or small domestic projects. To find out more about BAL’s new external tiling system visit www.bal-adhesives.com/gutjahr call our Specification Team on 01782 591120 or email info@building-adhesives.com.